The Cheetah is well known as the fastest of all land animals and can reach speeds of around 100km/per hour. Cheetahs reach this speed in less around three seconds (faster than most ‘super cars’). While cheetahs have incredible speed, they lack endurance. They can only maintain these speeds for around 30 seconds. They then need 30 to 40 minutes to recover. During this recovery period, other predators often steal their catch. Because of this, cheetahs try to hunt when other predators are sleeping. more often in the middle of the day. Cheetah sizes vary and range between 45 and 60kg. Males are usually slightly larger, though it is almost impossible to tell male cheetahs from females, based on their size and weight. 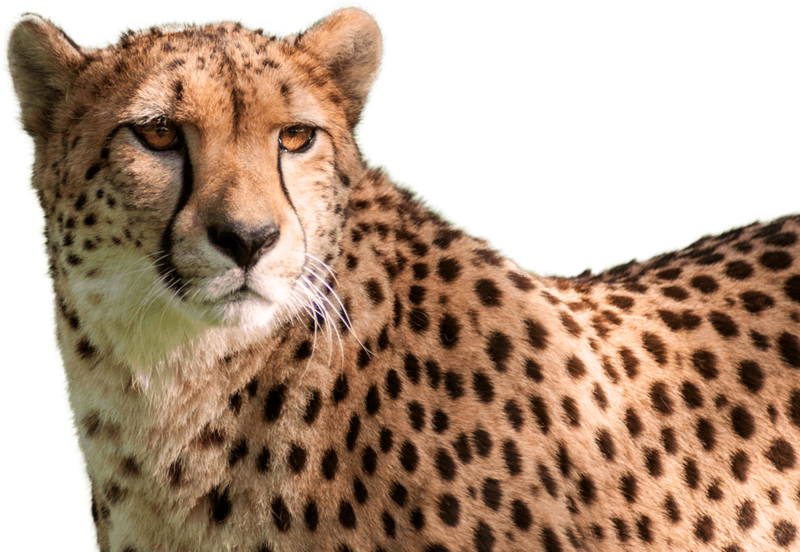 The National Zoo & Aquarium is home to 5 cheetahs: Zingula, Ailsa, Jura, Innis and Solo. The zoo is part of a regional breeding program for Cheetahs.